- Play into the Night with Glowing Basketballs! - Very Bright Orange Glow Effect! No. 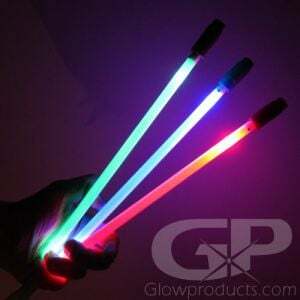 7 Light Up LED Glow in the Dark Basketball. 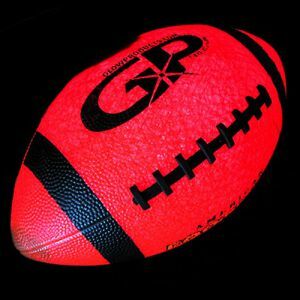 This Official Size & Weight Light Up Basketball is made of durable tough rubber that is easy to grip and catch. These Light Up Glowing Basketballs use LED light technology so they don't have to be "re-charged" in the light like traditional glow in the dark sport balls, and they are considerably brighter! 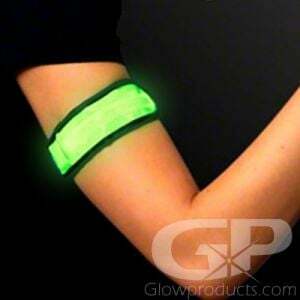 Each Glowing Basketball comes with an additional LED insert and extra set of batteries which are easily are replaceable. 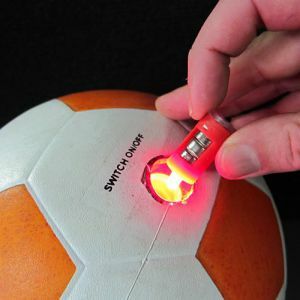 GlowProducts.com Light Up Basketballs are push button activated - simply push the button to turn the ball on and it stays on - no "impact" activation timer that will randomly turn the ball off on you - it stays on until you turn it off. Just Push the Button and Play! 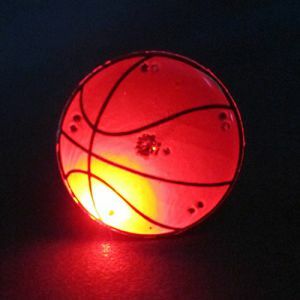 Don't let the sun going down stop you from playing basketball with our official size and weight Light Up LED Basketball! 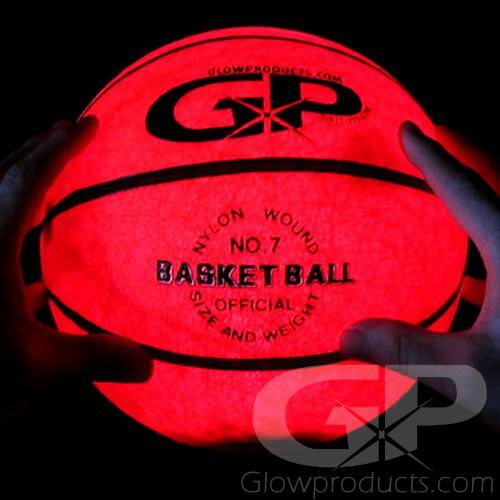 All of our Glow in the Dark Basketballs use Red color LED lights that won't mess with your night vision.